A little while ago, we talked about the best Traktor controller that NI never made. Well they've filled that particular gap, so where does that leave 4MidiLoop? Just about ready to ship that's where - and it's come on quite a bit since you first saw it too. DJ geeks always dreamed of a mixer box full of prime time faders, and 4MidiLoop has not 1� not 2� not� oh bugger it there's 5 Pro X Fades inside this beauty, as well as what looks like all the buttons and knobs in the world too. Say hello to the finished 4MidiLoop. Just using 2 decks is sooo old now. Next week it'll be retro and the week after vintage. It seems it's all about running 4 decks now, and like lemmings people are chucking themselves at this weeks new controllers as if it's quite impossible to mix 2 songs together with just 2 channels. Perish the thought. Unless you wanted to drop cash on an ITCH controller or Traktor Pro, you had little in the way of more than 2 deck control inside your computer - until now. 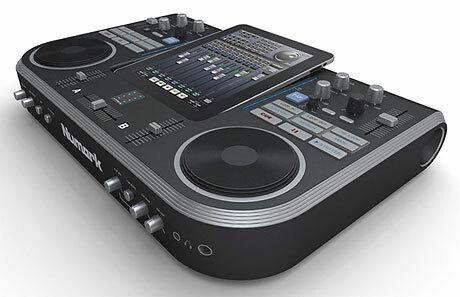 Virtual DJ 7 was unleashed at the DJ Expo in Atlantic City yesterday, and technically has the ability to use 99 decks. That gig bag looks a little small now. 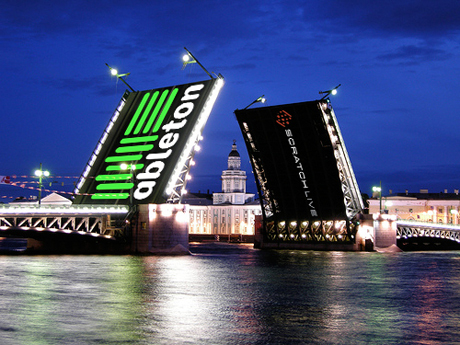 Cast your minds back to BPM 2008 - yes 2 years ago now - when Serato announced that they were getting into bed with Ableton to merge the DJ specific environment of Scratch Live with the much more music making world of Live. NAMM 2010 saw the first public demos and complete descriptions of exactly what this would exactly entail hit the netwaves. Mixtape spits Live-friendly files out of Rane boxes, and The Bridge essentially drops Live into the SSL world. And now, the day after NI's most awaited DJ announcement, and after an achingly long time where the shine threatened to disappear from this borderline mythical partnership, the public beta - yes PUBLIC - is available. It's about bloody time too. Traktor controllers are nothing new. 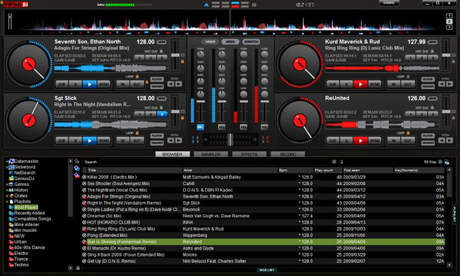 Being the de facto standard MIDI DJ application for eons, many lumps of hardware have come out that have been made to work with Traktor. But when the word was out that Native Instruments were making hardware specifically FOR Traktor, we all knew it had to be special. And having seen how focussed the Kontrol X1 was, it was clear to see that NI would have something special for us. And while it's taken years to arrive, the Traktor Kontrol S4 just raised the bar for other controllers considerably. DJing is evolving in 2 directly opposing directions. On one hand, the digital age allows us to do so much more than we ever could before, yet at the same time we want to scale down our setups into highly portable units that can be slung into a flight friendly case. More stuff - space = challenge for manufacturers. But they are trying their best to give a 4 deck experience in a small box. A&H have the xone:DX, American Audio have the VMS4 and NI have whatever it is they have - and now Denon have their very own 4 deck DN-MC6000. I've often wondered why manufacturers churn out complete DJ setups in handy sized boxes, but neglect the 3rd and 4th channels offered by Traktor that could easily be handled with a simple MIDI enabled deck. 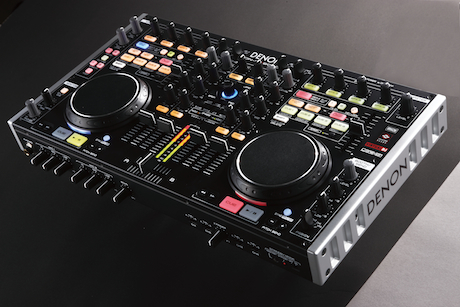 EKS, DJ Tech and Reloop for example do single MIDI decks, and now Denon enter the fray with a more substantial steel cased MIDI only deck. The DN-SC2000 is a MIDI only audio-free box full of knobs and buttons, but importantly a jogwheel too. Hybrids - the ill-fated CD and vinyl technology that everyone thought they craved but actually didn't. But Denon's hybrid mode is something different. 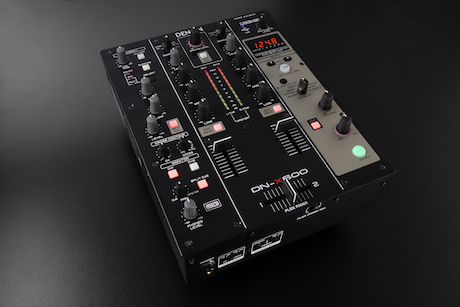 Essentially, via a free firmware update (yes it's that simple), Denon's DN-S3700 and DN-S1200 get an update that allows them to be used as timecode-free spinny platter decks for "various supported DVS applications", but most notably Serato Scratch Live. The digital DJ's life has for some become a nightmare of cables and additional lumps of hardware that allegedly makes life more simple. Yeah right. But Traktor Scratch certification does make life simpler - Native Instruments bestow this upon mixers with built in audio interfaces capable of handling the heavy demands of Traktor Scratch Pro, thus allowing you to leave a large part of the birds nest at home. 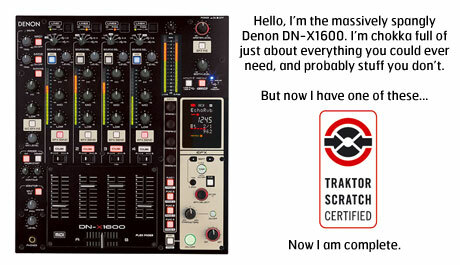 The Denon DN-X1600 Digital DJ Mixer has just got itself one such sticker to put on the faceplate. It seems that in recent times, there has been an insane technolust-fueled rush to cram as much nextlevelness into 4 channel mixers as is humanly possibly. But let's remember that most people mix one track to another, meaning that channels 3 and 4 often lie idle. Thankfully, Denon have responded to calls to make a 2 channel mixer laden with all the technology that the mix guys have become accustomed to. Say hello to the seriously nice Denon DN-X600. Touch screens - next big thing = the death of hardware? About this touchy feely gesture based touch screen malarky. Having put on my thinking cap, I'm now watching the recent videos with mixed emotions. Obviously It's massively impressive with a heap of wow factor and an incredible scope for flexibility. But I wonder if anyone can see where this could logically end up yet? Keep reading. Like it or not, touch screens are set to impact heavily on the DJ scene. Just last week, we saw Emulator and T�ken showing us a way forward, but now Greg Werk has taken the touch screen principle a step or two further. 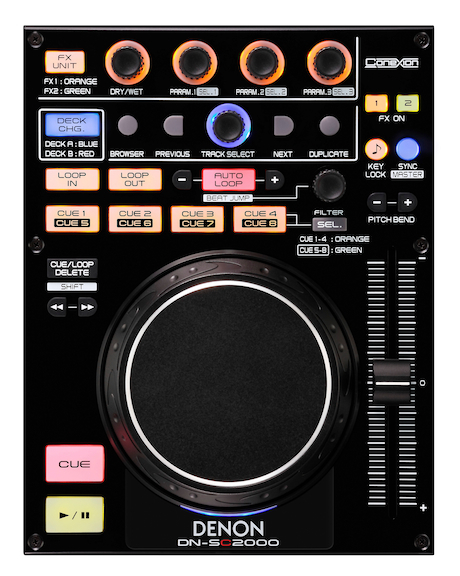 Yes, you still have 2 turntables, but the traditional deck and mixer metaphor has been pulled apart and rebuilt for a finger friendly multitouch environment. 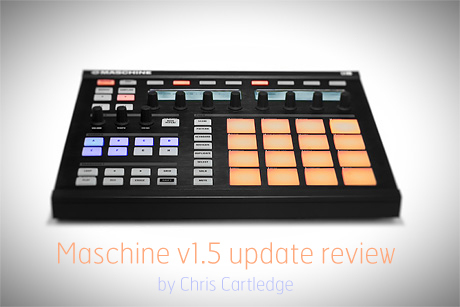 When Native Instruments Maschine landed in the skratchlab, life was put on hold for an evenig. In this time, I became an anti-social pad bashing beat making hobo with the social skills of an angry bear, due to Maschine's crack like addictive qualities. Thus it was immediately despatched to Chris Cartledge, who being a milder mannered type than I, tamed his technolust to deliver a well received review of V1. But version one and a half is upon us that addresses many of the shortcomings of the initial release, and firmly establishes itself even more as a box of buttons to be reckoned with. When is a Numark not a Numark? When it's a speculative student design project render. Well probably. Time for a bit of clarity here. My inbox is quite literally a smidgeon heavier with emails about an alleged next gen Numark product that has hit the DJ interwaves. I saw the above image about a week ago, and immediately fired off a mail to Numark. This product has many of the trademarks of regular their designs, but for me wasn't quite right. And there's good reason for this - it's not a Numark product at all. Never has been - but that doesn't mean it never will be. Allegedly. Think you know your Hip Hop? Well world DMC champ DJ Shiftee knows both his Hip Hop and his technology, and has combined both for your viewing and listening pleasure - as well as offering you a chance to win a tidy amount of Native Instruments gear as well. Shiftee has carefully grafted 35 different tracks into 90 seconds. You have to name them all to win. To date, touch screens have generally been little bigger than a book - more often than not the size of� well an iPhone screen. This of course makes the spacious traditional DJ metaphor a tad cramped to say the least, and frankly really crap to watch if you're a punter. But this video demonstrates the next level of controller technology, and also overcomes the hunched over the iPad non-performance. My iPad just became a placemat.